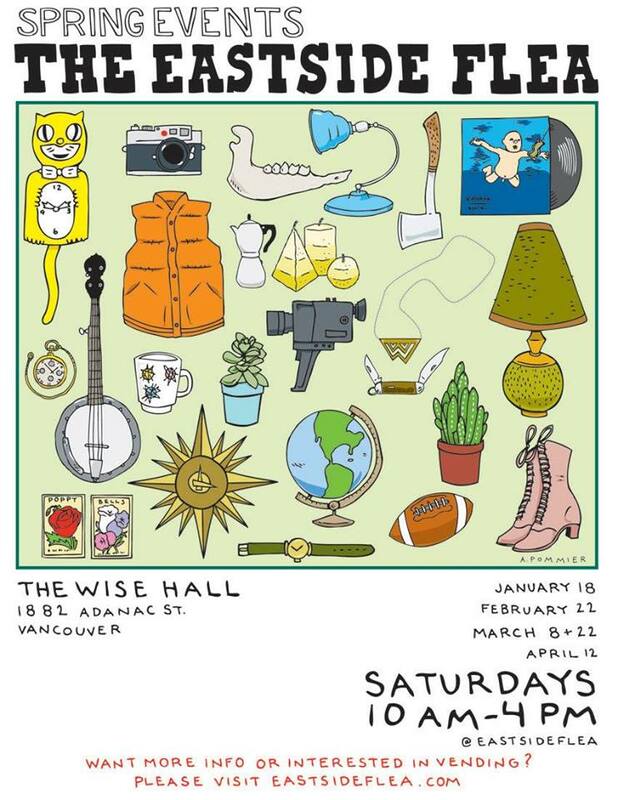 The ever popular Eastside Flea is back at the Wise Hall, 1882 Adanac Street, this Saturday, January 18th. Like past events, you will find an array of items from many local vendors. You can expect to find collectibles, records, antiques, vintage clothing, books, local artists such as RISH Jewelry with some handmade rings and, of course, so much more. The Flea gets under way at 10:00 a.m. and goes till 4:00 p.m. All ages welcome. Admission is $1.00. If you miss it this weekend, the next scheduled dates at the Wise Hall are February 22nd, March 8th & 22nd and April 12th.